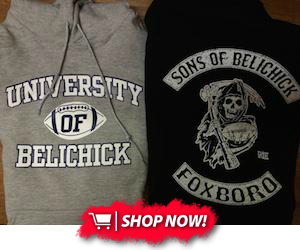 The Patriots play the Chiefs in the AFC Championship tonight at 6:40p.m EST. Once again the entire world thinks that the Patriots are out manned in this game and that the Chiefs are a lock. In fact on NFL Total Access this week the Chiefs were given an advantage in every category of the game, except for running. Even coaching. To simplify that for you, that show believes that Andy Reid is a better Coach than Bill Belichick. Hilarious! The Chiefs play a man to man scheme with a 3-4 base. The chiefs ran a man to man scheme 46.3% of their defensive snaps last season. A 3-4 base means that there is going to be three defensive lineman and four linebackers. Man to man coverage is a simple as it sounds. The players will cover the man they are assigned to. The Chiefs defense, in the regular season, allowed 405.5 yards per game. They allow 273.4 passing yards per game and 132.1 rushing yards per game. The Patriots have looked really good these last few weeks. Sony Michel has been a stud at running back, James White has done tremendous catching the ball as a running back, and while Gronk hasn't been the vertical threat and scoring machine, he's has been a huge contributor with his blocking for the rushing attack. If Michel can get the running game going I think that the Patriots are going to send a shock to the NFL and route the Chiefs. If the Chiefs have to focus on the run game at all then their man scheme becomes much harder. I look for Edelman to have a huge game. The Pats will run Michel and White all day. They'll be huge tonight. Since its man to man coverage look for a lot of mismatches. The Pats can run trips formations, which means three receivers stacked on each other on one side of the field. Look for plays with picks in the or rub route concepts. 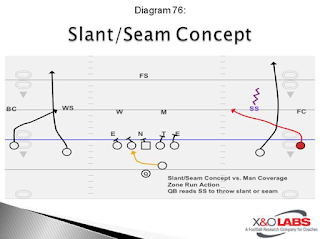 Look for a lot of mesh route concepts, slants, passes up the seam to Gronk and out routes to Gronk. The play below will show how to attack a man to man defense. The Chiefs offense relies on mismatches and open space as well. Get the ball to Tyreek Hill in space and allow him to use his speed. Theres no doubt that Patrick Mahomes is a stud, so the Pats defense needs make him as uncomfortable as possible. The Patriots did a tremendous job disguising their defensive schemes. Both Ben Roethlisberger and Aaron Rodgers said they struggled against the Patriots disguised defense, sports why wouldn't Mahomes have difficulties as well. 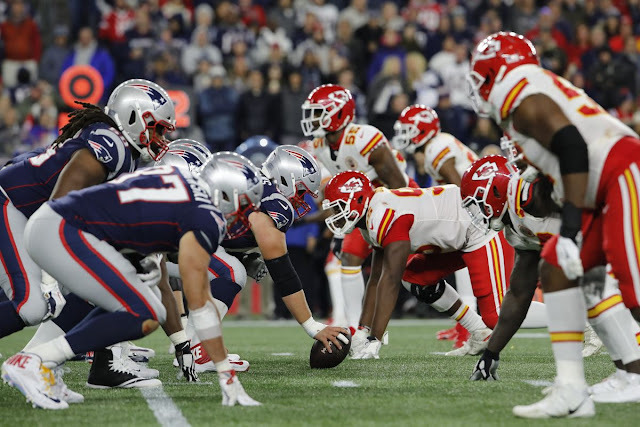 If the Chiefs can establish an ability to run fairly quickly then the Pats could have some trouble. The Patriots play a mixture of man to man and zone. Expect to see more zone than man to man tonight. The Patriots can play man to man as good as any team in the NFL but the Chiefs offense has done really well this year. The Chiefs average 425.6 total yards per game. I think the Pats come out running the ball like they have the past few games. They will use James White in various roles such as running like a normal running back and lining up as a wide receiver. Edelman will get a touchdown. Gronk will have a late and important touchdown. Sony Michele will have two touchdowns. The Patriots win tonight 34-21. The Pats will pick Mahomes off once as well.